Today on SquareEnixPresents, Kingdom Hearts HD 2.5 ReMIX was featured in a Square Enix Presents interview segment with the co-director of the game, Tai Yasue. Yasue was asked questions that were written by fans in the recent Kingdom Hearts players Facebook survey, and answers were given. - The Mirage Arena will be single player only. No multiplayer will be included in Birth by Sleep. - The game mechanics are mostly kept true to the original, save for the camera in BBS which now uses the right analog stick. - 90 songs have been re-done for KH2. The sound of BBS is heavily improved. - HD 2.5 ReMIX is 95% complete. - Around 70 people worked on the development team for HD 2.5 ReMIX, but this team was also simultaneously developing Kingdom Hearts III. - Kingdom Hearts III development is in full throttle. We have uploaded the interview, and typed up a full transcript of it. All of this can be seen below. -- "Firstly, I would like to congratulate the entire staff and active members a part of the Kingdom Hearts saga, and say a big thankyou for your time and dedication for all of the games you bring to us, and all the amazing, unforgettable moments each title brings. Birth by Sleep Final Mix was probably the greatest thing I was able to import, to be able to play for my PSP. Aside from new optional bosses and a secret episode featuring Aqua, I really enjoyed fighting in the Mirage Arena with my friends against No Heart and the Armor of Master. SO PLEASE ANSWER THIS QUESTION: Will the multiplayer option in 2.5 be present for Birth by Sleep?" Yasue: The multiplayer, we took into consideration our schedule, and right now we are actually simultaneously making 2.5 and 3. Due to our schedule considerations, we sort of wanted to let the player play on single player mode instead of multiplayer. Multiplayer takes a lot of time, and we wanted to sort of concentrate more on Kingdom Hearts III, so that we could speed that up. Although, we actually changed-- we wanted players to actually play in the Mirage Arena, so we actually tweaked it so that a lot of the bosses would be enjoyable. We also tweaked the AIs so they were more quick, and overall we also added some new rules, for example the challenge bonus, which-- there's a challenge for each battle, and if you clear them, you get some bonus medals. So, you can still enjoy it in single mode. 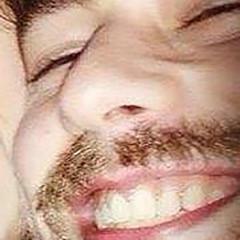 -- "Will HD 2.5 ReMIX have a Theatre Mode?" Yasue: Yeah. That's something we really wanted to do. When we first wanted to create Kingdom Hearts III, we made a decision to make 1.5 and 2.5 as well, and the reason for doing that was we wanted the players to actually understand the story, and so Re:coded is really an integral part of the story of Kingdom Hearts, so we added a 3 hour cutscene as theatre. And, 2 hours of that is original and totally new, so I guess you get a lot of new content. -- When you say original and totally new, is it correct to say that nobody in the whole entire world has seen those 2 hours of cutscenes? Yasue: Yeah, that's right. It's 2 hours. And also, players that actually played and know the Re:coded story, there's actually totally new story as well. A little bit added story for some of the backstories of other Kingdom Hearts titles in it. That's sort of a secret, but yeah. Backstories-- a "secret episode" sort of thing. -- "Will the game mechanics of Kingdom Hearts II or Birth by Sleep be different from their original versions in 2.5 ReMIX?" 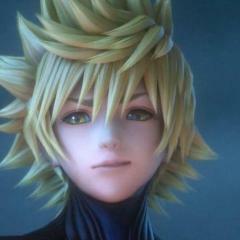 Yasue: Well, for Kingdom Hearts II Final Mix and Birth by Sleep Final Mix, we got really positive reviews. We really didn't want to change too much. We really wanted to concentrate on upgrading it to the PS3, and we didn't want to anger our fans, obviously, by changing it too much. So we really concentrated on the graphics, and the sound. We put a lot of man hours in that, so that you could get a really premiere experience on the PS3, on a big TV. That's what we did. -- "What was the biggest challenge in developing this ReMIX in comparison to last year's 1.5 ReMIX?" Yasue: For 1.5, we'd never made a HD ReMIX before, right. So we didn't know how to make the system for the PS3. So, for 2.5 we didn't have a lot of difficulty programming the system, and the way to make the workflow, so that was pretty easy, that was pretty smooth. What was difficult was we actually wanted to do more to grade up the quality of the graphics, and the sound. We totally changed the polygons and the textures for Birth by Sleep, we used a lot more memory for that, and also for Kingdom Hearts II, the textures have been all remade, so it's a lot prettier, the colors are more vivid, and it's really beautiful to watch-- and also for sound, I guess, that's something we did, we put a lot of effort into as well. -- "What was the most important part in making 2.5 ReMIX for you?" Yasue: I mentioned this before, I think we really didn't want to change what was good about Kingdom Hearts II Final Mix and Birth by Sleep, so we didn't really change the game balance, or the major game system. We tweaked a bit, but we really wanted it to focus on making it a PS3 experience. We wanted to really exceed our player's expectations from that, so, I think it's really gorgeous, drop-dead gorgeous, to play. So we really wanted to concentrate on that. -- That's cool. And even some of the color palettes have been swapped with like the Unversed? Yasue: That's right, they're totally different. For the PS3, the colors you can use are far richer I think, and you get a really deeper experience playing that. For Kingdom Hearts II, I think, it was actually really pretty at the beginning with our first PlayStation 2 version, but I think it really realised its full potential on the PS3. -- "What was the most enjoyable part of creating 2.5?" Yasue: The team from Kingdom Hearts 2.5, the programmers are really funny, I think. [laughs] I like working with them. One of the guys is called "Eggplant" in Japanese, and he has a purple house, and he also looks sort of-- he's shaped like an eggplant, right. [laughs] That's something I really enjoyed. I like talking with them. I like working with them, it's really fun. That's a fun point. One of the fun things is actually watching Kingdom Hearts 2.5 on a big screen. We check it, right, on a big screen with them, and I think it's sort of-- very emotional, it's-- because you learn that it has gotten a lot better. -- "How do you go about bringing a PSP game and porting it onto PS3 into full hi-def?" -- "Which Disney world was the most fun for you to create, Mr. Yasue?" Yasue: The Castle of Dreams, actually, it's from Cinderella. That's one of the first ones I actually planned in game design, right, so that's really special for me. I liked playing as a small mouse-sized character in the house, it's very three dimensional, it's very vast. I loved finding the different pieces for her dress, material for her dress, and that was actually very enjoyable for me. -- Yeah I like that level a lot, just because of the verticality, and how you can go in the kind of mouse holes. Yasue: Yeah, I really love environments that are very vertical. They're not just flat. You go up, up, up and up and up. That's something I really enjoy. -- "What is the most favorite thing that the development team enjoys about being able to bring Kingdom Hearts HD 2.5 ReMIX to old and brand new fans, and how does it allow for added possibilities?" Yasue: What we really enjoyed-- you know, for Birth by Sleep, we made the first version, so it was really close to us, and we really didn't want to make any mistakes. That was really special for us. For me, Kingdom Hearts II and Birth by Sleep, I think they're one of my favorite titles for the Kingdom Hearts series, and I think that a lot of players feel the same way. So I think that was really enjoyable as well. -- "Are there any game mechanics that you have wanted to include in the series that have never made it in due to time or hardware limitations?" Yasue: For Birth by Sleep, we did a lot of experimentations with the Shotlock system, and the command style system, and I think we really did a lot. Obviously we'll be changing a lot in Kingdom Hearts III, but in Kingdom Hearts 2.5 we really didn't change a lot of the mechanics. However, for Birth by Sleep, the controls were for the PSP, so we changed that into a PS3 version. It's easier to control using the right stick for the camera, for example, so we tweaked that. It'll be really pretty natural to actually control for the PS3 version of Birth by Sleep. -- "Were there any FINAL FANTASY or Disney characters or worlds that you wish to add to the previous Kingdom Hearts games, but could not?" Yasue: For Birth by Sleep, I wanted Vincent. I like Vincent from FINAL FANTASY VII, but there wasn't really a place-- there's no setting for Vincent that would fit Vincent. He should come out of a coffin for example, but there's no real coffin in Birth by Sleep. That's one of the characters I would like to incorporate, maybe, but it wasn't possible. The gameplay would be really exciting too, he has the guns right, so it'd be fun maybe as an enemy character. -- At least you guys got to get Zack Fair in there from the VII universe..
Yasue: Yeah, Zack Fair was fun. -- Were there-- sorry, this is a random question, but were there any challenges with bringing Zack into the game? Yasue: With Zack-- of the FINAL FANTASY characters, I think he is more real and when we brought him to Kingdom Hearts, he's a little bit more cuter, I think. His shape is a little bit more round, so we sort of rearranged that for the Kingdom Hearts series. -- "Will Birth by Sleep feature the command menu in the original version, or have a combat version similar to Kingdom Hearts II?" Yasue: For Birth by Sleep, I really like the deck command system, so we incorporated that, we haven't changed that. We understand that a lot of players actually like the Birth by Sleep system as well and the Kingdom Hearts II system, but I think that they belong to each other, so, they seperate it. You can enjoy both systems I think. -- I agree, I think both have their own charm, and both are awesome in their own right. Yasue: That's right, there's different strategy that work for the other games, so you can enjoy both. -- "What was your favorite game to remaster and bring back to life, and what is your favorite Disney world?" Yasue: There are a lot of Disney worlds I like. I like Timeless River, the black and white Mickey characters. I think I watched the classics a lot. There's something special about them. They're really creative, there's a lot of imagination involved and I have a lot of respect for that. That's one of my favorite worlds I guess. And of the my favorite worlds I enjoyed making was, as I said earlier, Castle of Dreams, Cinderella stage. I like the mouse view, that was awesome. I also like Lilo & Stitch, Deep Space stage too. We played with this gravity gimmick, you can jump higher and stuff, that was kinda fun too. -- "How many people in the development team did it take to complete the full remaster of 2.5 ReMIX?" Yasue: 2.5, umm-- there's this image, making HD remasters easily, but it's actually very difficult and time-consuming. We had over 70 people, about 35 cutscene guys and a lot of artists taking part in Kingdom Hearts 2.5, a lot of time, and a lot of man power I guess. -- That's a pretty big team. Yasue: Yeah, it is a pretty big team. I guess Kingdom Hearts III is also running simultaneously, so it's-- a lot of guys overlap. -- We're glad to hear that Kingdom Hearts III doesn't slow down because of this remaster, so that's really awesome. Yasue: Yeah, we're going full throttle right now. -- "For Kingdom Hearts HD 2.5 ReMIX, how was the development process. I heard that you're in the final stages of development, and I was wondering if this was as tedious a process as developing 1.5? Yasue: Actually, we're in the final stage of development. If we were having difficulty, I wouldn't be here, right. So I guess it must be moving smoothly. Right now what we're doing is we're doing our finishing touches on cutscenes, and we're also tweaking a bit, for example the trophies, and also we're debugging, so we're almost done. I mean like 95% done. So I think it's going very smoothly. It's not that tedious, I'm here, I'm talking to you guys. [laughs] I'm enjoying myself. -- Will Kingdom Hearts 2.5 include extras that were not in Kingdom Hearts II Final Mix before, and are there going to be new additions to the ReMIX games, not just Final Mix features? Yasue: For Kingdom Hearts II, there's nothing that is really added. But I think everything, the graphical assets have been totally rechanged and retuned, and so that is the big change. For the Final Mix versions for II and Birth by Sleep, it was only sold in Japan, so I think we really wanted to get that to the US and European market. -- One of the things you mentioned earlier was about the sound quality. Can you speak a little bit as to what changed from II to Final Mix? Yasue: For Kingdom Hearts II, we re-recorded about 90 of our songs, 90 of our BGMs. We had a full 40 member string orchestra recording in Boston, so there was a lot of effort put in to that. You could really identify the live instruments now on the HD version. For the former Kingdom Hearts II, we used data that wasn't really live-- so there weren't real instruments-- but in 2.5, you can identify the instruments, and there's a really deeper sound, a richer sound for that. 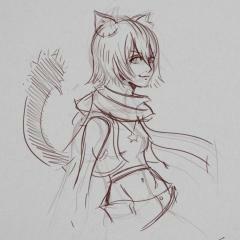 For Birth by Sleep, we actually had a lot of constraints because it was done on the PSP. We added a lot of environmental sound. For example, if you come close to a fountain, you see a rich gurgling sound from the fountain. So I guess that overall gives you a richer experience, I think sound is very important, especially for Kingdom Hearts. -- This is about Re:coded-- is there going to be a whole movie, or can you select different HD clips? Yasue: For Re:coded, what you can do is actually select, and you can also play the whole thing at once. So you can see it like a movie, I guess, that you actually rent, sort of. If you want to see some particular movie, you just select that from your menu, so that's also easy as well. -- What Disney movie do you wish made it into the previous games? Yasue: I can't really answer for sure, but-- well, I don't-- on a personal note, I went to see Frozen with my daughter a few months back, and I thought that was very special. I liked it. I'm not saying that it's going to be added to any of our Kingdom Hearts, but on a personal level, I really liked the film. The magic, the blizzard, the ice, the snow-- I think they were really beautiful, and the story as well, I loved that. When he said "Frozen" he mean that the world will not be in KH 2.5 HD not KH3, so who knows? He didn't say anything about the capes!!!!!!! ????? "KH3 is in full throttle" Thats all it matters in that interview to me. Yeah thats a classic line. I fear this. Except Atlantica was actually cool. SO DISAPPOINTED that they just totally took Multiplayer out of Mirage arena. The Kingdom Hearts game with the best multiplayer, and scrapped it. I was so looking forward to online play or even split screen. If it's going so smoothly, why can't they put it in? ugh, majorly disappointed. Cause it is to much work for them. They are focussing on KH3. I do wish it was the host, though (can't remember her name). Cause she has a really adorable smile and voice SE crush! I'm sorry but I really didn't like Frozen that much. u want ur cursh to be ur mom wat?? Wait, how can it be going full throttle? I thought the original team was supposed to join in after they were done with FFXV? The original team might start making FFXV-2 once they finish FFXV. 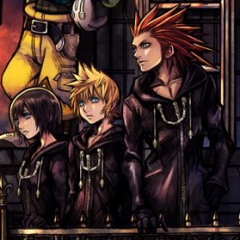 A few members could transition to KH3 but most will probably continue working on FF games. Not sure what you are talking about. I'm talking about the person who closed out the show hahaha. I mean... Darkness conquers all worlds!! I'm disappointed that they haven't released the cover art for 2.5 yet. The question I asked for the survey actually was whether or not the Mirage Arena would have online, so it's nice that they directly answered that. And boo, there's no online! 23 QUIZ: How many characters are wearing plaid or have plaid accessories in Kingdom Hearts III? 1. QUIZ: How many characters are wearing plaid or have plaid accessories in Kingdom Hearts III? Quiz: How Many Characters Are there in Smash Bros Ultimate?